How is the Mooncup® environmentally friendly? One of our fundamental wishes as a green business is to reduce the amount of waste created on our beautiful planet. 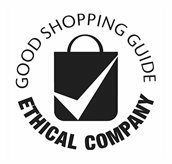 We feel strongly that the extent of single-use plastic pollution needs to be addressed, and have been working hard to do our bit – not only through our game-changing reusable product, but also through our ethical business practices. 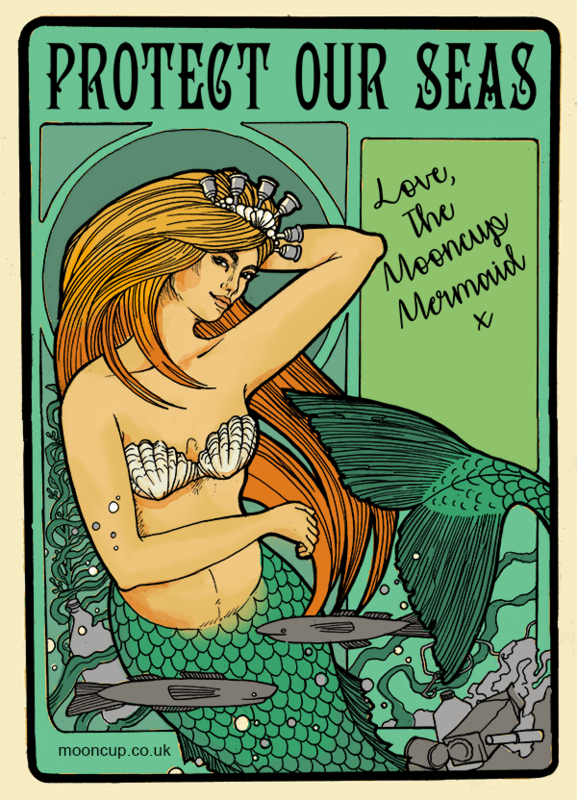 This blog post will explain why the Mooncup menstrual cup is an environmentally friendly option. We know that in the busy-ness of life it can be difficult to switch off ‘auto-pilot’ and change your habits. Plastic is everywhere and sometimes feels hard to avoid . 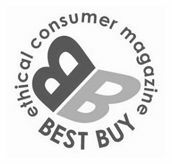 As consumers we are constantly encouraged to buy more products, and convinced that those we already own should be replaced by ‘new’ and ‘improved’ items. Using the Mooncup offers us an opportunity to ‘step out’ of constant consumerism in at least one aspect of their lives – and this is the very reason that so many users love the product. That’s why we’re committed to spreading the word about Mooncup, the sustainable option. On top of the environmental benefits, our users have fed back to us that once they’ve made the switch they also feel empowered by the convenience of the Mooncup and the knowledge that they’re being kinder to their body. So, how is the Mooncup an eco-friendly option? 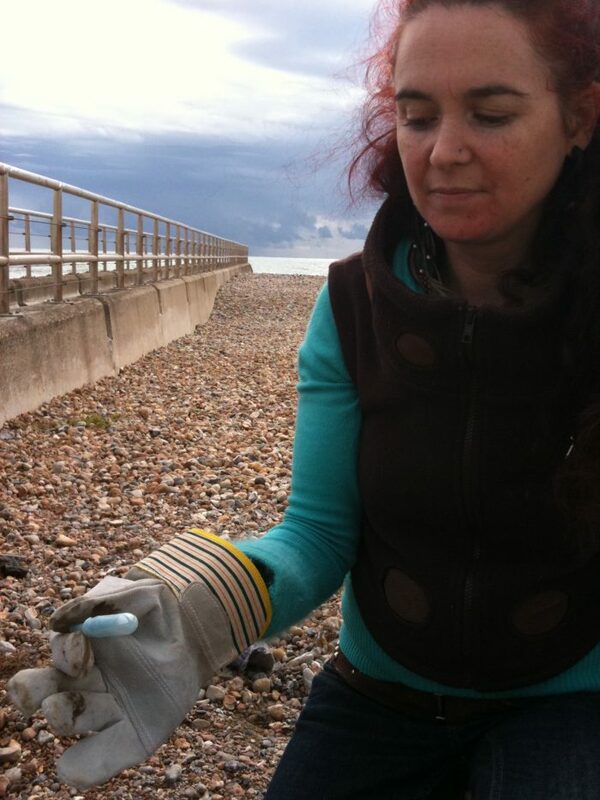 Alongside fishing, public and shipping litter, one of the main sources of the UK’s coastal clutter is Sewage Related Debris (SRD) – basically, the end of the line for all the products we flush down our toilets. These can include items such as feminine wipes, sanitary pads, applicators and tampons. 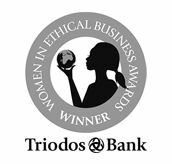 Just one of us will use around 11,000 disposable sanitary products in a lifetime which, when flushed, can lead to sewer blockages and end up in the sea. With around 1.976 billion of us of in menstruating phases of our lives on the planet it’s amazing the impact that this small change in our habits could have! 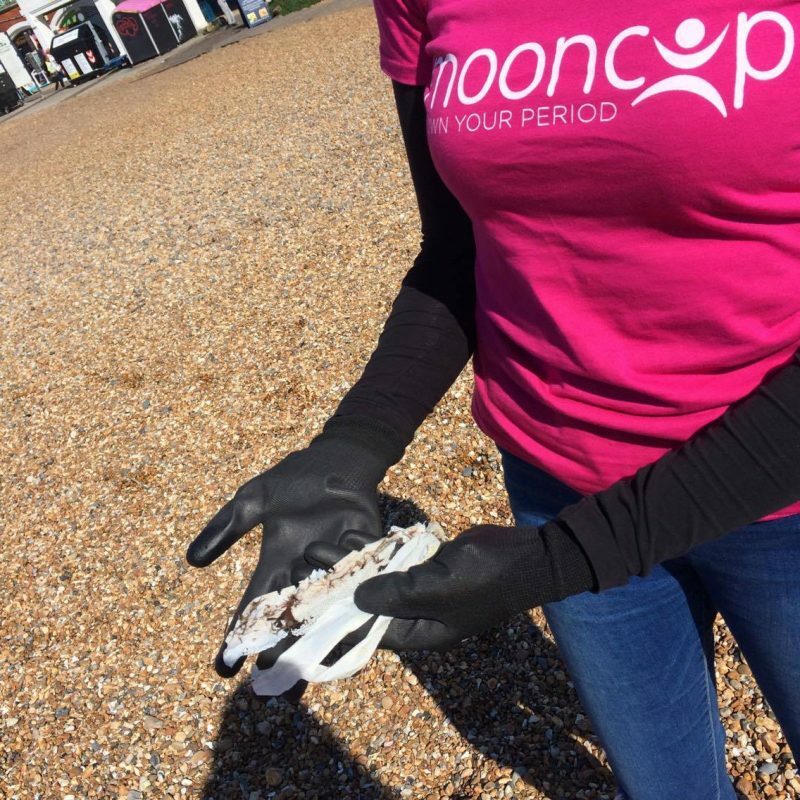 It’s this un-sanitary waste that we at Mooncup Ltd feel particularly passionate about- which is one of the reasons we’ve been taking part in the Marine Conservation Society beach cleans at our seaside home in Brighton since 2010. 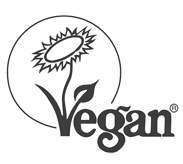 Plastic backing strips, applicators, wrappers and top sheets are NOT biodegradable. 27,938 used tampons & applicators collected on our world’s beaches on a single day. 1.5 billion items of sanitary protection are flushed every year in the UK alone. The majority of sanitary pads contain 90% plastic. If you have periods and want to make a conscious choice that helps the environment, the Mooncup menstrual cup is an easy way to dramatically reduce the waste you produce. It’s not all doom and gloom when it comes to the future 🙂 Thanks to Mooncup users worldwide we have ensured that 1.7 billion (…and counting) fewer tampons and pads have ended up on our beaches or in landfill since 2002. The Mooncup is reusable, so only one is needed and it lasts for years. However, there’s still loads more work to be done and more people to reach – our mission continues! 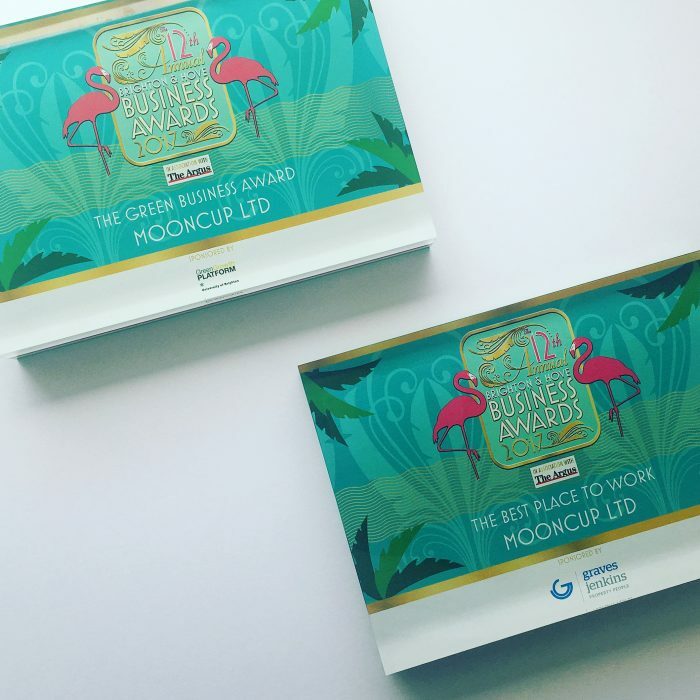 At Mooncup we like to think we’re doing our small bit to help the planet, and luckily, our efforts haven’t gone unnoticed as we’ve been awarded a number of green business awards of late!